Employers often struggle with the ‘he said/she said’ form of workplace complaint. The complainant says the allegation happened. The respondent flatly denies it. No one else was in the room at the time. Now what? Our clients are often confused about what to do when a complaint is made about behaviour in the workplace that is not witnessed by anyone other than the complainant and respondent. Some think that this means that there is no way of making findings in relation to these allegations so there’s no point in conducting a workplace investigation into this kind of complaint. While it can be more difficult to assess whether an allegation is proven if there are no witnesses to the allegations, there are approaches an investigator should take to assess evidence in these circumstances and make robust, defensible findings of fact. The investigator will obviously need to get detailed evidence (who, what, when, where, why, how) from the complainant and respondent about the allegations. Each should be asked if they think anyone witnessed the allegations, or if they told anyone about the allegations at the time, or afterwards. Even if the complainant or respondent say that no one else witnessed what was said in the respondent’s office, it is worth assessing this for yourself. Take a site visit to the location of the allegations. Are there CCTV cameras which may have useful evidence? Do employees sitting outside an office have a view of what goes on inside? Can they hear conversations on the other side of a wall? Check calendars and diaries of employees – were they in the office at the time of the allegations? Electronic access cards can often give very detailed evidence about employee movements, which may be crucial in an investigation. Mobile phone records may be helpful in establishing movement. Make sure you carefully assess the witness evidence given by the complainant and respondent. In Shawl v Anglican Community Services (ACS)  FWC 5990, the Fair Work Commission overturned a decision by an Aged Care provider to dismiss an employee based on the ‘eye witness’ evidence of another employee that she assaulted an elderly resident by hitting him in the mouth while asking him to be quiet. The Commissioner found that because the ‘eye witness’ was standing behind the employee when the alleged incident occurred, she was not in a position to see what happened. Indirect evidence is generally not as probative (i.e sufficiently useful to prove something important) as eyewitness accounts, but can be used to corroborate a version of events. If the complainant was observed to have rushed out of the respondent’s office with a very red face, or in tears, then this may be some supporting evidence of his complaint that the respondent yelled insults at him. An email written by a complainant to a colleague complaining that her boss put his hand on her thigh during their morning catch up might corroborate her later complaint of sexual harassment. Similar fact evidence is evidence that the respondent has (or hasn’t) behaved in a similar way in the past. Similar fact evidence can be extremely prejudicial to an investigation and, of course, past behaviour is not necessarily a predictor of future behaviour. Investigators, therefore need to take great care when dealing with similar fact evidence to ensure that the evidence is relevant to the investigation. Used carefully, similar fact evidence may be probative and enable an investigator to make a determination of fact where there are competing versions of events. In investigations into allegations such as sexual harassment where there are often no witnesses to the events under investigation, a credibility assessment of witnesses can be crucial to making robust, defensible findings. Inconsistencies – Inconsistencies in credibility or evidence should be scrutinised and dealt with. It’s important to understand that just because there are inconsistencies of evidence does not mean that a particular witness lacks credibility. An investigator needs to consider inconsistencies of evidence and determine whether they affect credibility. Plausibility – Which version of events makes the most sense? Is the evidence internally consistent? Source of information – Was the witness able to make the statement that he or she did? Was he or she able to see or hear the behaviour? Detail – How specific and coherent was each person statement? Motive – Does either complainant or respondent have a particular motive to fabricate or deny allegations? Demeanour – Observations on demeanour are rarely as helpful as television crime shows would have us believe. Studies consistently show that even very experienced investigators can’t tell ether someone is lying from just looking at demeanour. An ‘untrustworthy’ demeanour should not be considered as evidence of an allegation being proven. An investigator may use observations of demeanour (and particularly changes in demeanour) to indicate an area where the evidence should be closely examined or further investigation may be required. Making findings on allegations of behaviour where there are no witnesses is often not easy, but with diligence in gathering evidence that exists and careful analysis and weighing that evidence, an investigator can make solid, defensible findings of fact. Jodie Fox brings to Worklogic a wealth of experience gained working with clients from a diverse range of industries. 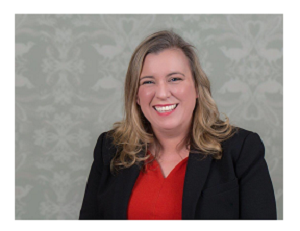 Previously working as an employment lawyer at a top-tier law firm for almost 10 years, Jodie worked closely withttps://www.worklogic.com.au/staff/jodie-fox/h a host of large and small clients.